(Medical Xpress)—Professor Mark Kendall of the University of Queensland, Australia, has announced at this year's TEDGLobal Conference that a skin patch he and colleagues have developed will soon begin field testing in New Guinea. 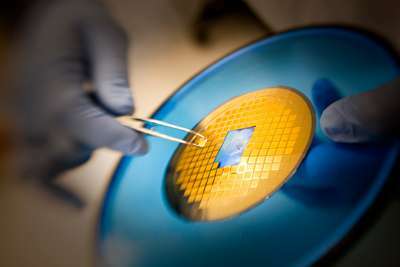 The Nanopatch, as it's been named, is used as a replacement for the traditional method of administering vaccines—injection with needle and syringe. Kendall and his colleagues are working with Vaxxas, a newly created company whose mission is to commercialize the Nanopatch. They plan to begin field trials of the patch as soon as possible in New Guinea where HPV virus infection rates (along with cervical cancer) are the highest in the world. Not coincidently, the country also has very few refrigeration facilities making it an ideal candidate for testing the new patch.